1963. 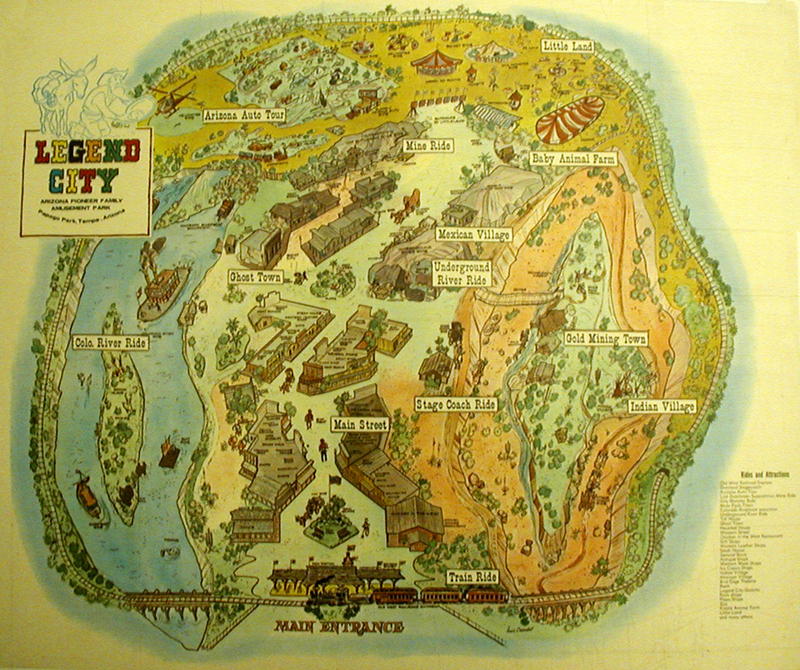 The official Legend City map was executed by Disney artist Chic Albertson. 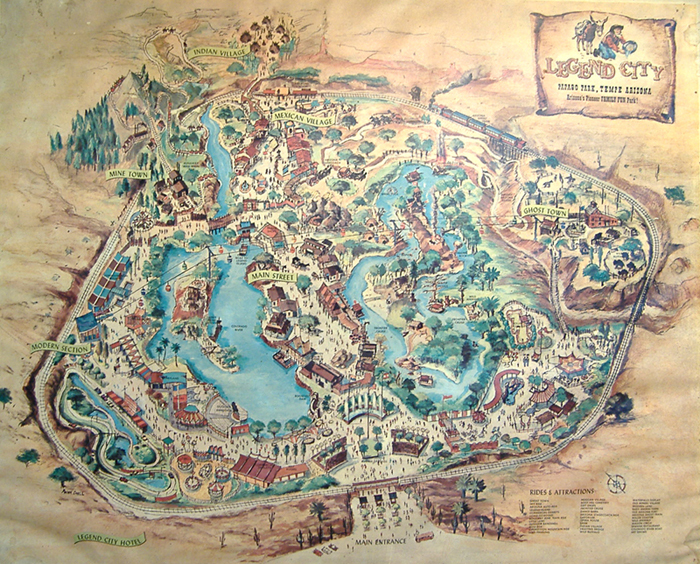 Click areas on map for close-up views. 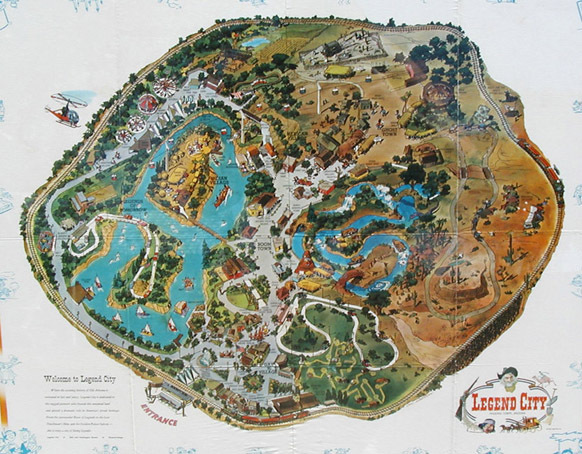 The two prototype maps below reveal earlier visions of Legend City that were later revised before park construction.